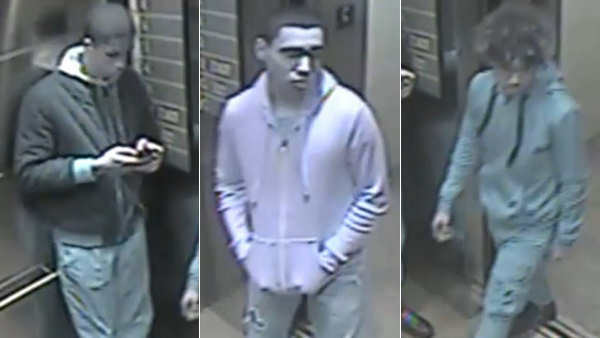 THE BRONX (WABC) -- Police are searching for three young men wanted for a vandalism spree in the Bronx, and they're hoping surveillance images will lead to arrests. Authorities say the suspects entered the Botanical Square Garden parking lot around 5 p.m. on Christmas Eve, broke into several vehicles and crashed them into other cars. The suspects damaged 17 cars in total, causing approximately $60,000 in damages. They are all described as Hispanic males, 14 to 17 years old.